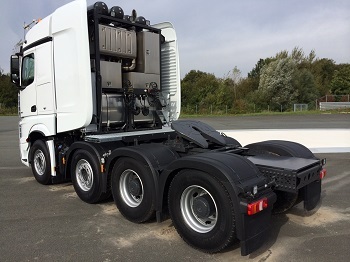 TITAN Spezialfahrzeugbau GmbH will exhibit at the IAA commercial vehicles from September 25th to Oktober 2nd in Hannover/Germany. 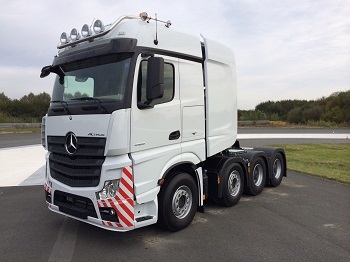 During the “Driving Experience” we will expose the new Actros SLT with the short wheelbase of 3.300 mm. Furthermore we will show a stickable additional axle to rise the tractor payload by additional 8.500 kg when needed. We are looking forward to welcome you at the ADAC driving center in Messe/Laatzen close to the exhibition grounds. A free shuttle service is arranged to get there.